Lost reflection are a hard rock band from Italy who originally formed in 1996 as a tribute band for Crimson Glory. 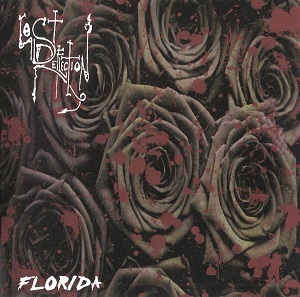 After a five year break while frontman Fabrizio Fulco was in Florida working with the "Ben Jackson Group", Lost Reflection are back together and have just released their album "Florida" through Italian record label SG Records. "Media violence" has some good solid 80's guitar sounds and combined with the vocals reminds me a lot of Zodiac Mindwarp, and this is fairly representative of most of the album. "Wings of Glory" is an instrumental with plenty of electric guitar. "Crucified" is probably my favourite track on the album. "Nitefall" is an odd track that seems to end naturally after three and a half minutes and then starts again as a totally different style instrumental which sounds like it should have been a separate track. The album has an 80's sleaze rock feel to it mixed with more modern influences, and is well worth checking out.